M&F 2xl and 3xl in Tortoise. Both pre collaboration. Now I just need a 1xl to go with them. (06-12-2018, 05:02 AM)NJDJ Wrote: M&F 2xl and 3xl in Tortoise. Both pre collaboration. Now I just need a 1xl to go with them. I ask in ignorance but is there some real difference in pre collaboration and post? Is there something different either in looks, performance or construction? I have sort of limited experience with the collaboration brushes, but Brad makes some beautiful handles. My experience with the pre collaboration brushes has been very good. We are talking about animal hair, and so there is a lot of variation no matter what. 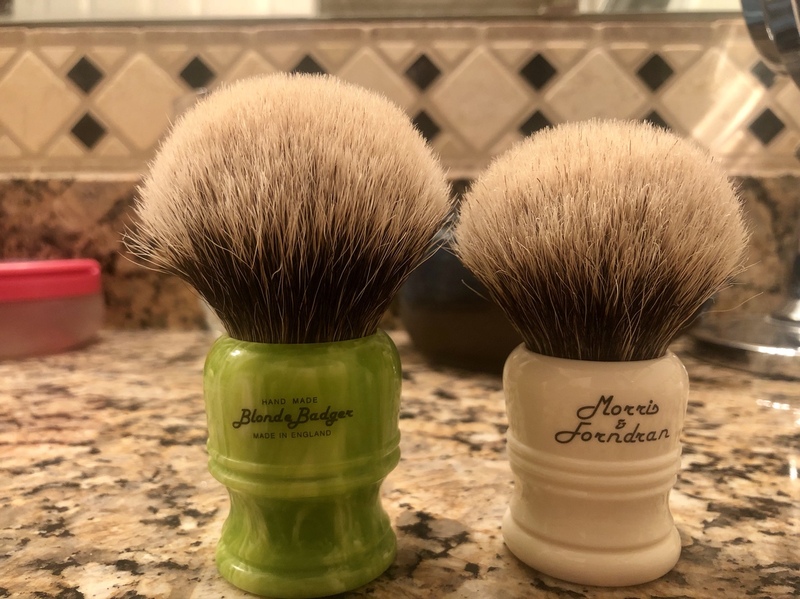 It's difficult in my mind to really say that one is better than the other because of the fact that there is variation in the hair, even on a brush to brush basis with the same label. However, I have had some pre collaboration brushes that are really fantastic: dense, gel tipped, and just enjoyable to use and look at. Additionally, there are some differences in the materials that were used by Lee. For example in my tortoise brushes have a particular type of resin that is no longer used. When you see that type of resin, it identifies it as a brush from before 2015. Also, the pre collaboration brushes might be regarded as being more collectible, since they are no longer produced. The Brad Sears/Lee brushes are being produced right now and so you can simply order one. There is no availability issue. 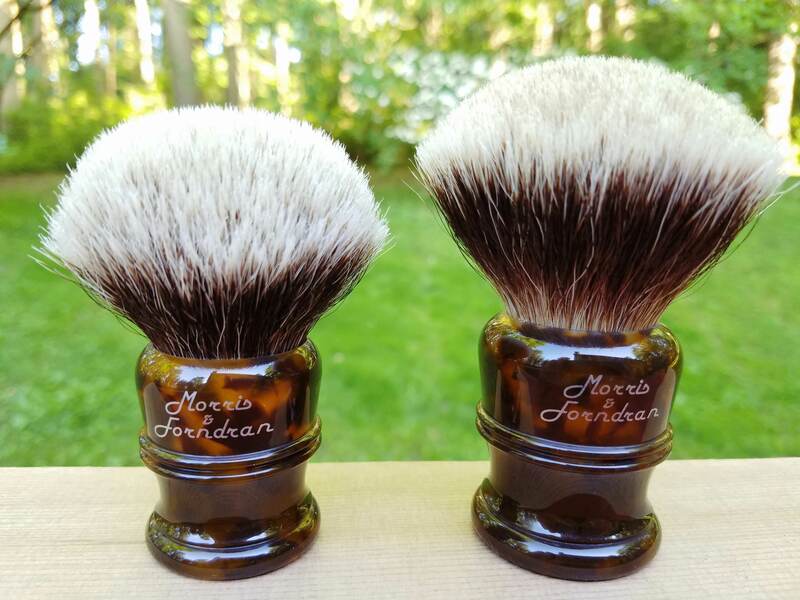 Obtaining something that is a great brush and no longer available may make them a little more fun to add to your collection. I guess I own a Wolfman for the same reason. Heck, a Razorock synthetic will get the job done, but chasing down something few other people have adds to the fun. So, short answer: some great brushes to use and somewhat harder to get.